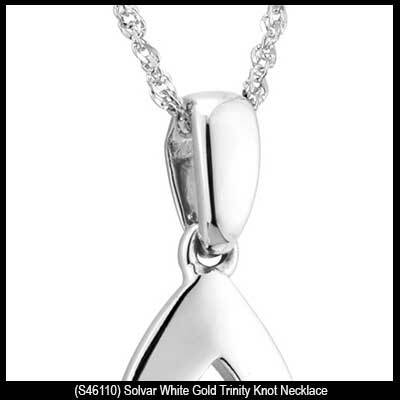 This white gold Celtic necklace features an engraved Trinity knot that is enhanced with a diamond. 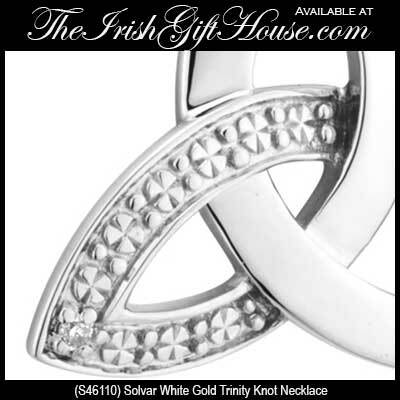 This 14K white gold Celtic necklace features a Trinity knot with a single diamond, with a 0.005ct. total diamond weight, in the corner of the engraved field. 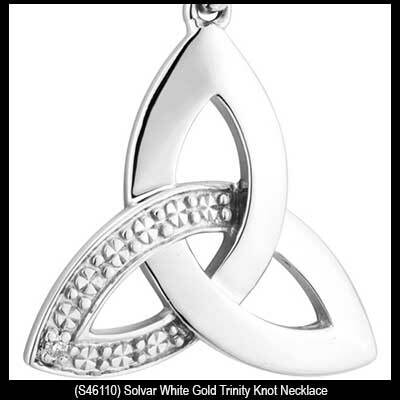 The Celtic pendant measures 5/8” wide x 7/8" tall, including the jump ring and the chain bail, and it includes an 18” long 14K white gold chain. White gold Celtic earrings feature drop Trinity knots that are enhanced with a diamond in the engraved fields. Gold Celtic earrings are 14K white studs that feature Trinity knots with a diamond in the engraved fields. 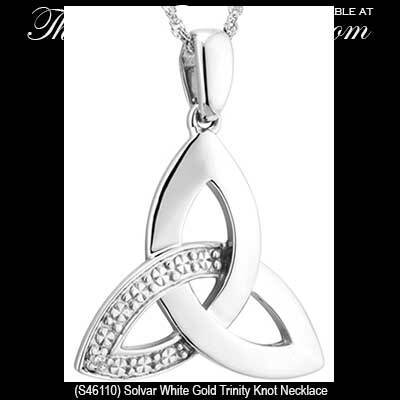 Celtic necklace is crafted in 14K white gold and features a diamond enhanced Trinity knot.